You can find an app for anything these days. Want to sell your clothes? There is an app for that. Want to find true love? There is an app for that. Want to order take out but are too scared to call a stranger on the phone? There is an app for that. Social media and high cell phone usage has a tendency to be perceived as harmful to relationships. While this can certainly be true, we can also use our iphones to our advantage. When my husband deployed to Afghanistan it was nearly impossible to get a good connection to talk. Turns out Afghanistan is a bit behind with their cell towers...go figure. 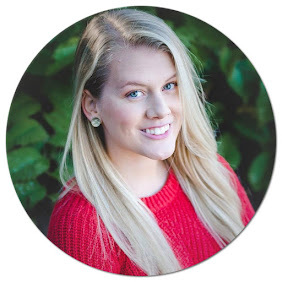 We learned quickly to take advantage of apps that were perfect for people who are far apart from each other and wanted a reliable way to communicate. Since we were an LDR couple, it feels like a million more apps have come out geared toward couples or simply geared toward communication. Here are my favorite apps for LDR couples. This is one of the main apps we used while we were apart. Couple is an app that allows you to communicate with your partner and keep each other up to date with your lives. You can text, send audio and video and even share calendars to set up a phone date or skype call. I used to find the "Thumb kiss" option extremely corny....but man did I use it A LOT. This app was pretty much the only way we were able to call one another. Facebook Messenger Audio is essentially like calling someone from your phone but instead going through the app. The calls are free and are excellent for those who are international. You simply open up the messages app, select the person you want to call, and click on the telephone icon. Many couples love to watch shows and movies together. It is one of the things many of us miss doing with our SO when they are gone. Gaze allows you to send a link to your partner can join you in everything from synching screens to video chat. It is the prefect way for one of you to not get mad at the other for watching episodes of Game of Thrones without them. This program requires a computer. Texting internationally can be difficult and EXPENSIVE. WhatsApp allows you text privately through their app without worrying about spending an arm and a leg. You can send audio, video and text even in a group chat. This was the texting app my husband and I used when we were long distance and it was AMAZING. We were able to send messages offline as well which was key when we were away from home or not near wifi. There are hundreds of FREE apps you can download to play games against your significant other. From Monopoly to Draw Something (Yup, that is still around) you can play just about anything. My research led to find so many choices I could not choose just one. For couples that have a more competitive edge or simply want to have an activity to do together (even though you may be a continent apart) will love these options AppCrawlr has a great article of the top 100 gaming apps on ios. Many of these games are available on Android as well. hahaha I actually had to google LDR couples. Boy, I'm really out of the loop. 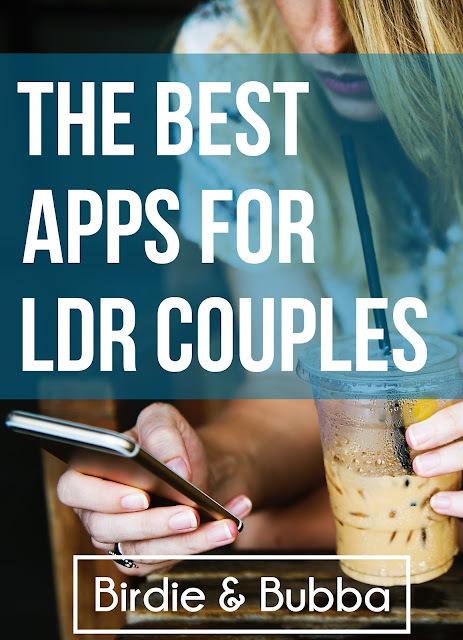 These apps look like they would really help couples connect. Haha I feel like I'm out of loop most of the time! Thank you for the comment! This is an awesome list! I only knew about two of them so thanks for the tips! They are great! I'm so glad you like them too! Long distance relationships are hard! I should know, I dated a marine who was stationed abroad for a couple years back in college... Needless to say, it didn't work out. But if we had some of these apps back then, maybe it would have worked out. Who knows! ?Thanks for this informative post! Thank you! Yes they can be super hard! I wish we had more of these apps when we started dating too! I remember having few long distance relationships, and I hate it. I think it just me that can't stand the fact of not seeing one another for a long period of time. But I like how you suggested few apps that can make time go fast. :) so sweet. Man these are great apps. I'm always amazed at how far technology has advanced. Me too! I cannot believe how advanced technology has become and is still progressing. Well! I had to look up LDR! haha Now I know! :) Anyway, technology is so amazing as are the apps that you shared for people in your situation. I'm glad to know they are available should I ever find myself in this position ... even with my adult children! I am thankful my husband and I are not long distance. However he does work long hours during the day so these apps would be great for us. We can stay in touch besides texting during the day with these apps.